Since Boston Magazine published a post one month ago naming Lawrence, Massachusetts that the “City of the Dammed” and calling it “godforsaken”, outraged residents are working to prove that there are far more positive things in the city than the label “Nation’s Stolen Car Capital” would suggest. On March 1st, community leaders, teachers and parents, fulfilled to talk about a new strategy. They proposed a rally, marching two weeks later under the banner “We’re Lawrence”. The “We’re Lawrence” motion is building about what local high school pupils had already begun. 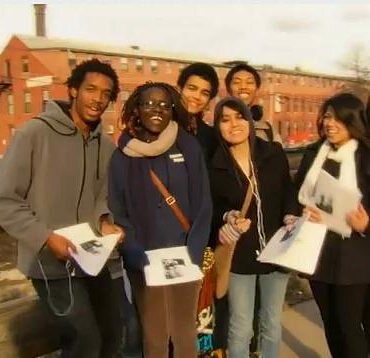 Trying to undo the city’s negative stereotype, the group of adolescents started printing a book known as “What’s Good In the Hood?” , hand-delivering the favorable news stories around town. Instead of a drumbeat of stories about murders, robberies and drug arrests, Good From the Hood aims to give Lawrence’s city a picture makeover. The enthusiastic multicultural teenagers are empowering their city with financing by selling ads to publish their book. Regardless of a reputation, the city of Lawrence, 25 miles out of Boston released its 2011 Economic Development Report, which reads as a counterpoint to the Boston Magazine bit — highlighting success stories of neighborhood businesses. With five variations dispersed, by highlighting clean-up efforts and volunteer and inspirational work done by local artists as well as 31, the teenage editors have tried to generate city pride.